More than 2000 Wordpress projects completed throughout my career. I have over 10 years experience with Wordpress. My clients include: Microsoft, Ticketmaster, Lenovo and Forbes! 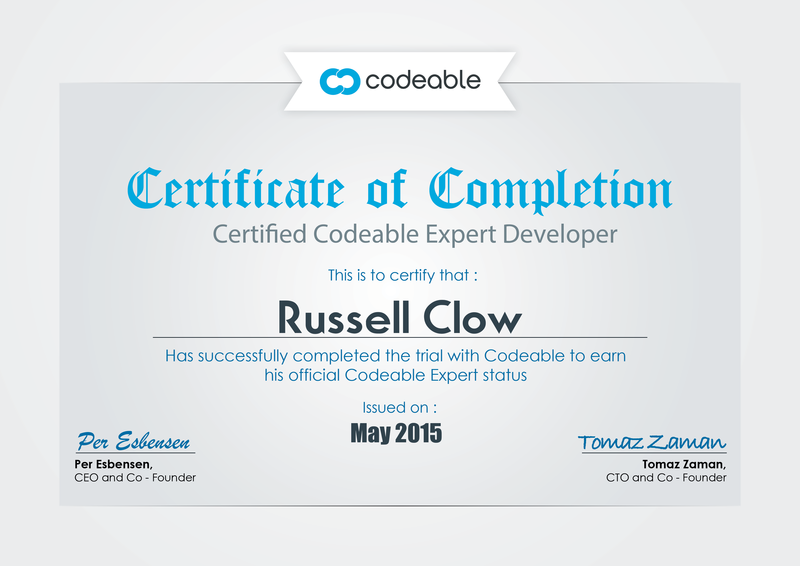 Over 500 completed Codeable projects with 5* rating! Don’t be swayed by other developers completed project counts. I am a freelance website designer and developer with over 10 years experience under my belt. I’ve worked with many smaller businesses, start-ups and individuals, as well as large international brands. I’ve also worked as a Lead Digital Designer for 2 award winning design agencies and have personally won awards for my design and development. I have a passion for design (UX and UI), but I also have a very strong knowledge of coding languages, including HTML/CSS, jQuery, PHP and of course, all things Wordpress! Russel took my specs, knew exactly what questions to ask to have all the information he needs, knew all the best practices and pluging that would make my life easier, actually paid for a plugin himself without asking for extra funds, and he was working under a lot of pressure because I had a CRAZY deadline to meet. HIGHLY recommended! Wow, I was truly impressed with everything -- from the quality of his work, to his timeliness and his communication with me. Russ is proactive and certainly a top-notch developer! I look forward to the next task with a sense of confidence! I work with a lot of developers and technology folks... and I would rank Russell at the top of the list with some of the best I've worked with. Fast, very responsive and knows his stuff. Russ has done a great job refurbishing a site with plenty of technical issues into something much more robust. His expertise, responsiveness and communication throughout the project was highly appreciated. There's not enough good things I can say about working with Russ on our complex site. He always rises to the challenge and does above and beyond. I am grateful!